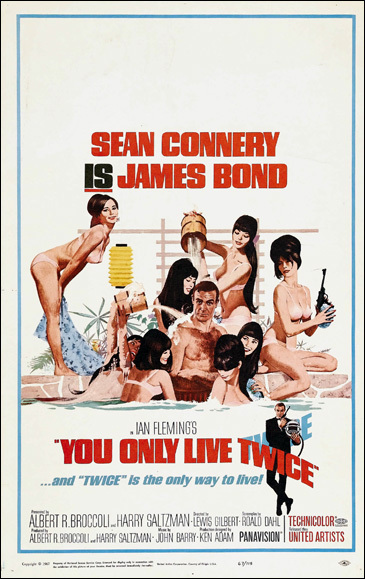 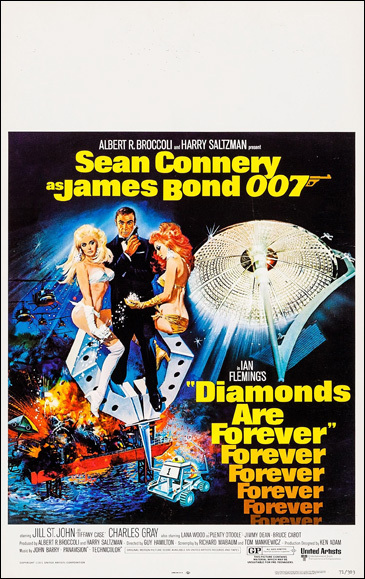 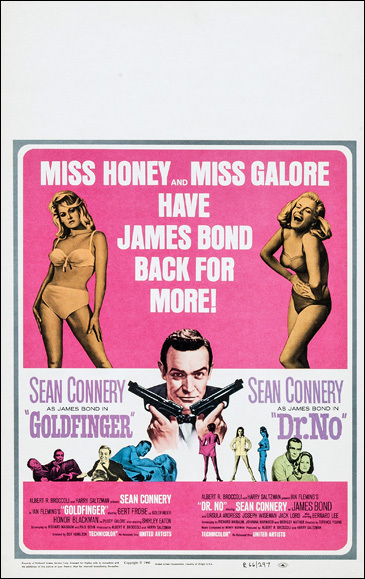 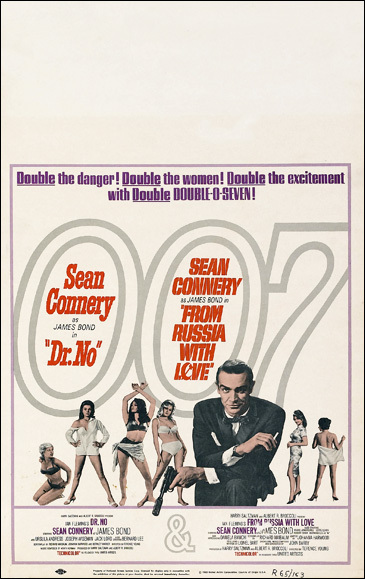 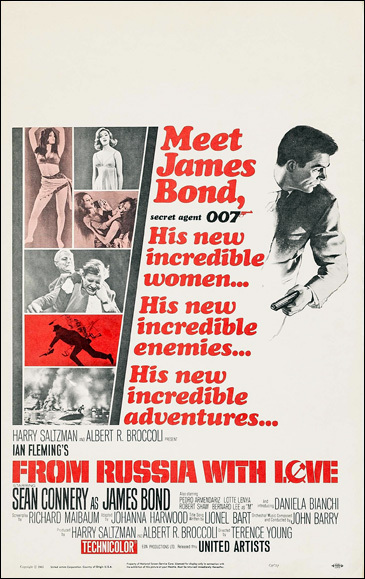 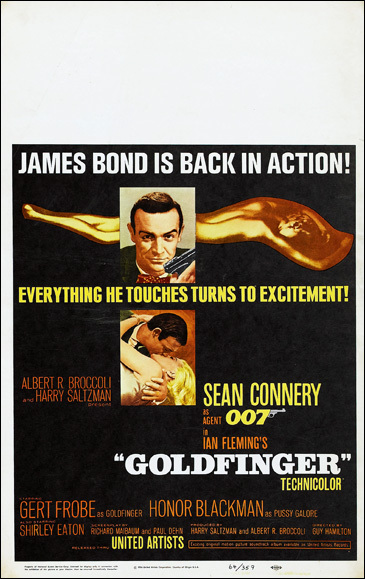 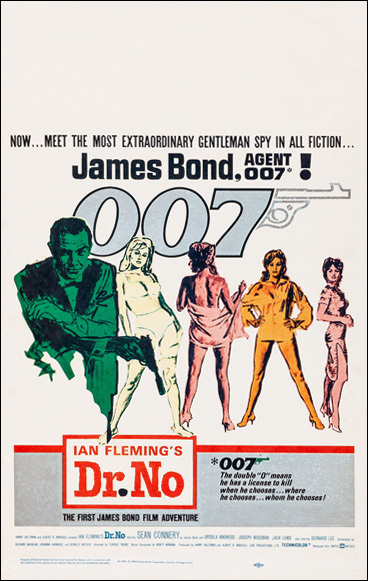 For every official general release or re-release of the James Bond films in the US from 1963-1971, a window card (14" x 22") was produced for cinema displays and in-store promotions. 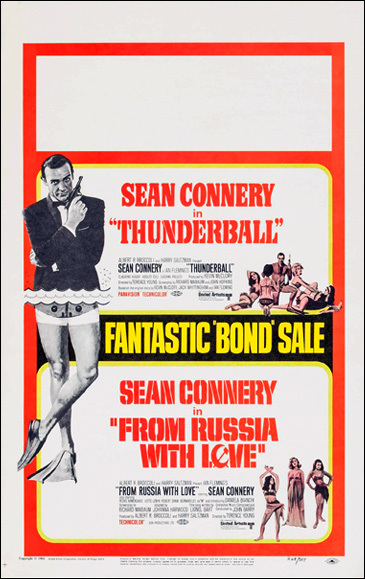 Produced on heavier card stock, these were small posters primarily displayed in shop windows to advertise the local showing of a film. 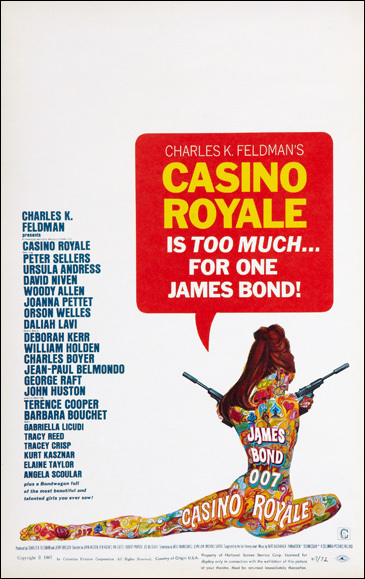 They all had a blank white area of approximately 4-inches at the top of the card for the theatre's name and dates of showing. 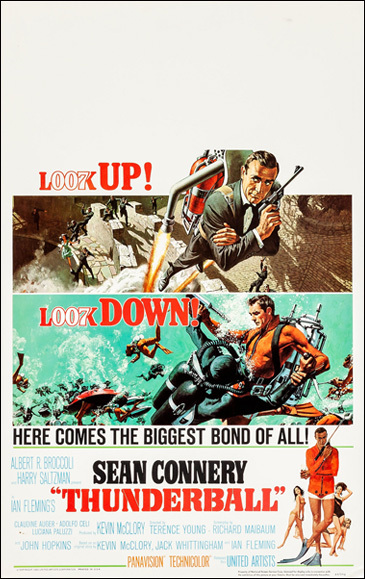 These posters are of a size easy to frame and are attractive to collectors for that reason. 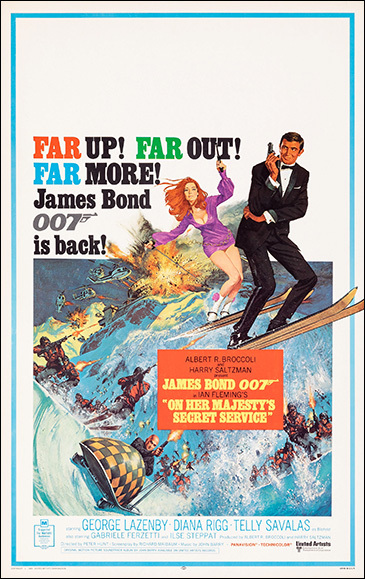 Displayed here for the first time are all James Bond window cards in release date order from 1963-1971.